Faribault Vacuum is proud to carry the full line of vacuums by Electrolux: Innovative and stylish, Electrolux vacuums are intuitively designed with you in mind. 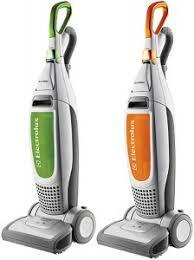 Vacuum cleaners from Electrolux come in a variety of types, including lightweight, upright, and canister. Whether you need service, parts, bags or filters for your old Electrolux, or it’s time for a new Electrolux, Chavis Vacuum & Sewing is your one-stop shop for all of your Electrolux needs. Serving the 55057, 55060, 55337, 55306, 55001, 55002, 55006 zip codes, and greater Minnesota!